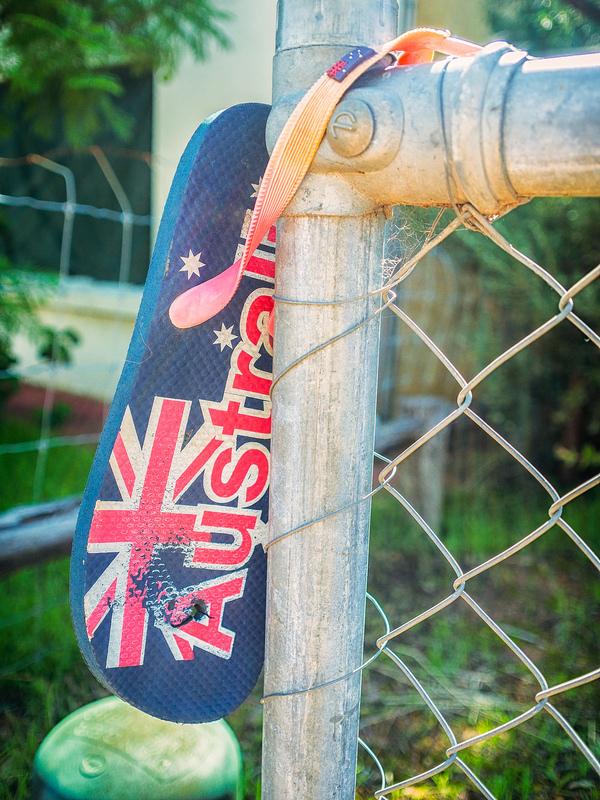 A lost Australia thong hangs from a fence post on Stirling Terrace in Toodyay, Western Australia. 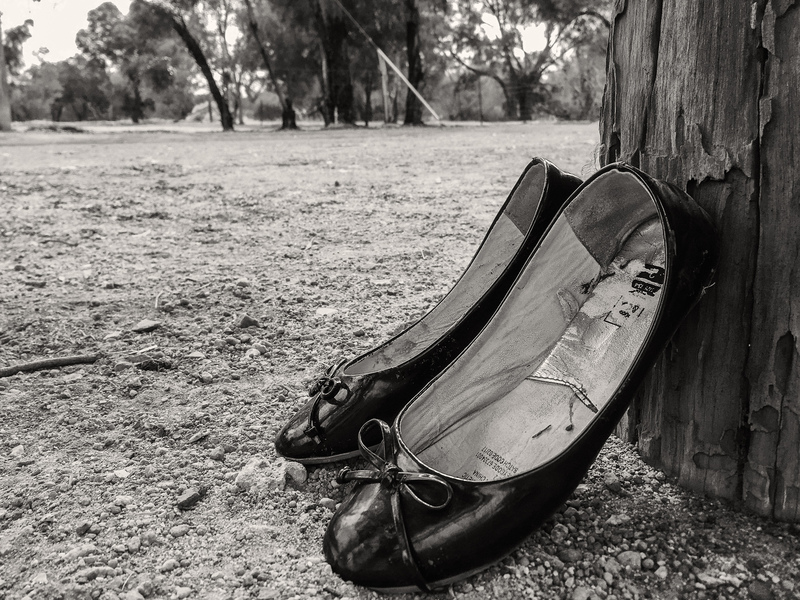 Abandoned shoes on the Avon Walk Trail in York, Western Australia. It is true Australians don’t like to wear many clothes. If the temperature dips to 20℃ then they’d rather light a wood fire than put something warmer on. We used to live opposite this couple and he would wander around the front garden in his reg grundies and nothing else. 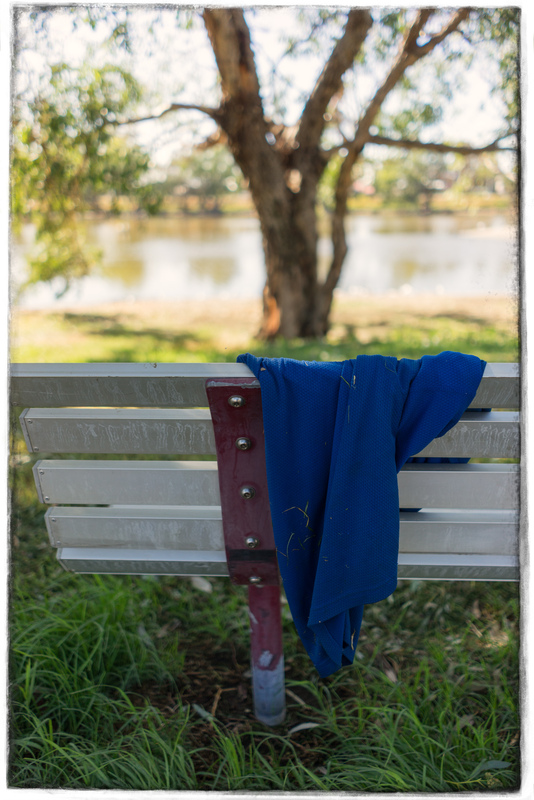 It got to the stage where we could tell his mood from the colour – yellow was happy and dark blue was grumpy and down. 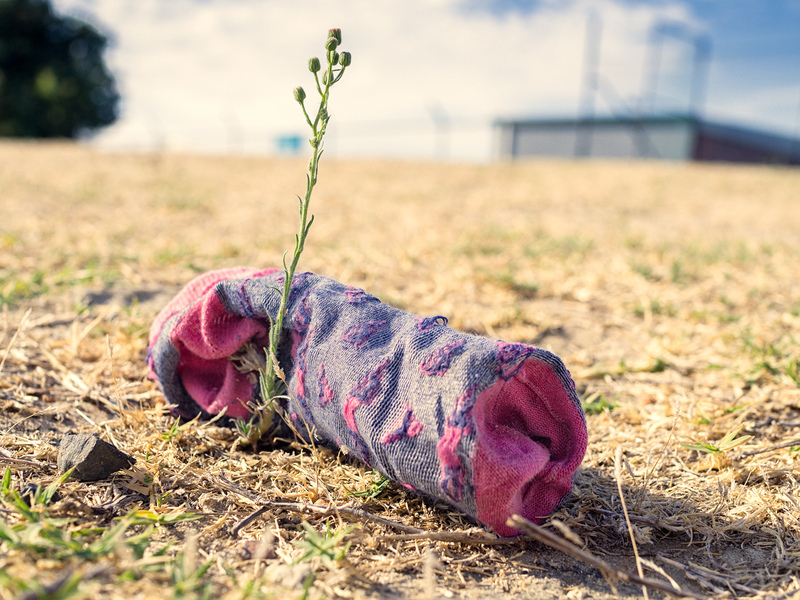 As you walk around (rural or urban) it is not uncommon to find discarded items of clothing, it’s almost as if Australians repel clothes and they spontaneously drop off. 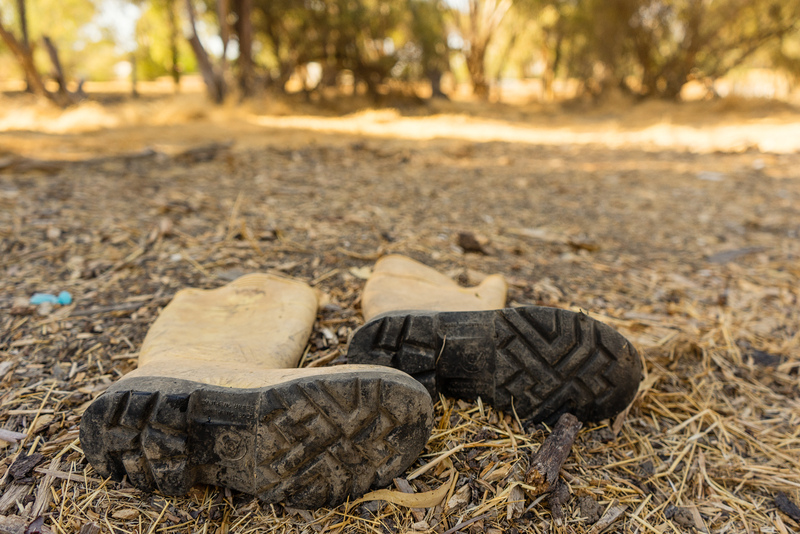 The most common items found are usually footwear, then comes shirts, trousers and underwear. It is quite hard to fathom how someone can go out fully dressed and come home minus say their trousers. 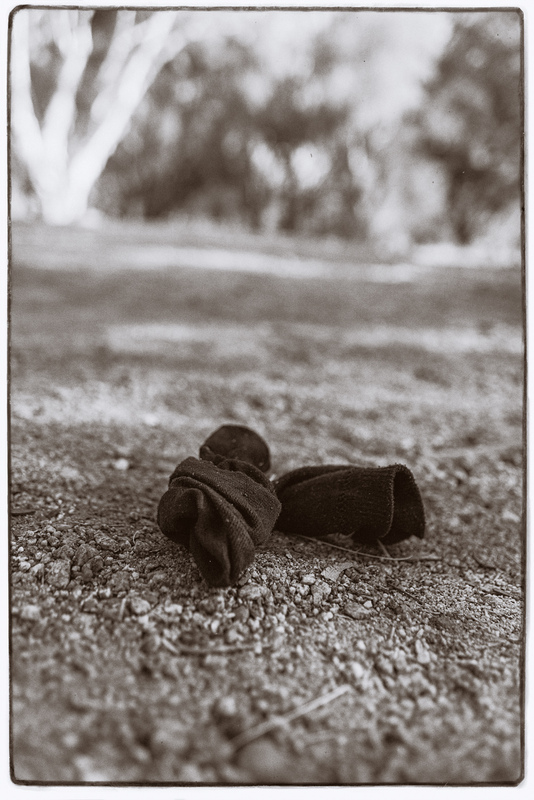 Anyway the photos below are a selection of items I have photographed over the years. 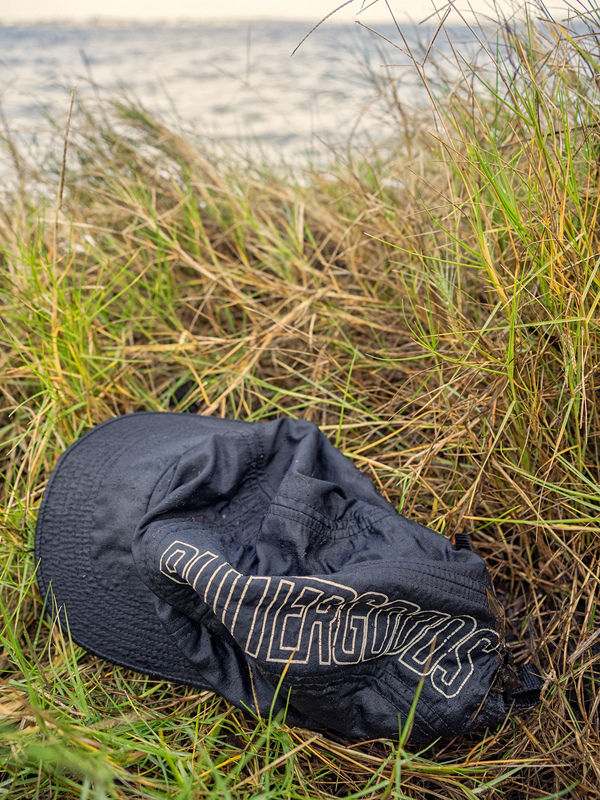 Lost cap at Pelican Point. 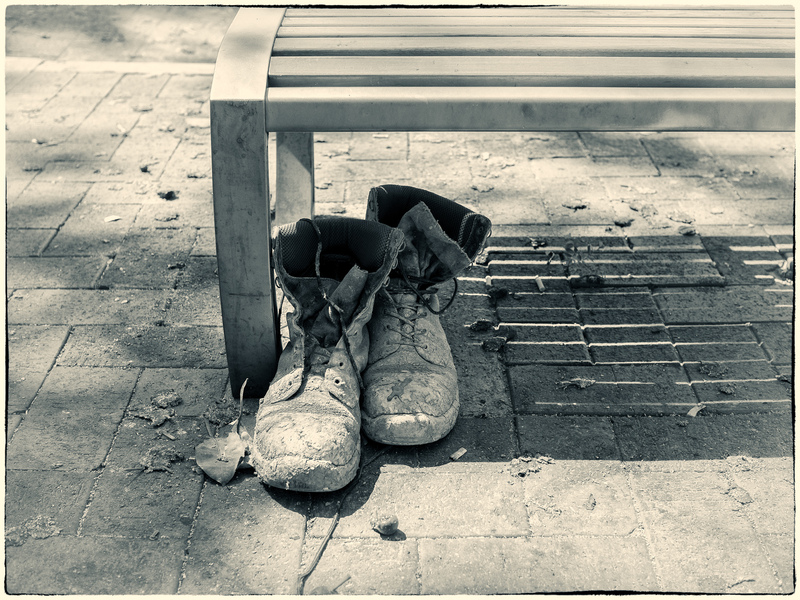 Old work boots abandoned beneath a street bench. Perth, Western Australia.